A London restaurant has added grey squirrel lasagne to its menu as a more sustainable choice of meat for diners looking to minimise their carbon footprint. Chef Ivan Tisdall-Downes, of Native in Borough Market, makes his squirrel ragu by slow cooking the meat from the mammal’s hind legs, which are said to be similar in taste to rabbit. He then uses sheets of celeriac instead of pasta to make his open grey squirrel lasagne, and also uses the squirrel offal to make Native’s game parfait, according to Big Hospitality. The meat is sourced from the same supplier of his wild boar, which is involved in the culling of grey squirrels in the UK, according to the Sunday Telegraph. As a plentiful source of meat that doesn’t require intensive agriculture, the former River Cottage chef also says that eating wild squirrel meat is less damaging to the environment. 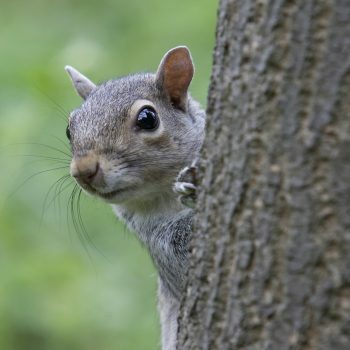 Grey squirrels were introduced from America in the 1870s, and are classed as an invasive species given that they have all but driven out the UK’s endangered native red squirrel. Since the introduction of grey squirrels, the UK population of reds has dropped from around 3.5 million to between 120,000 to 160,000 individuals (according to different estimates). The population in England is thought to be as low as 15,000, which a large proportion of that found in Scotland, and on the protected Brownsea Island, off the south coast of Dorset.